PyeongChang 2018 Winter Olympics begins February 9 and Panasonic is ‘Sharing The Passion’ and the spirit of sport athletes with people around the world while connecting people who are passionate about sports and the Olympic Games through advanced technology. The values Panasonic Corporation shares with the Olympic and Paralympic Games as the Official Worldwide Partner of the Games is showcased at the United States Olympic Committee (USOC) visitor training center in Colorado Springs here in the United States, as well as in South Korea, and also in Tokyo for the 2020 Summer Games. The Sports Techie community blog is considered a social media influencer and because of that we have insight into Panasonic’s immersive entertainment technologies to share. The values Panasonic Corporation shares with the Olympic and Paralympic Games as the Official Worldwide Partner of the Games is showcased at the United States Olympic Committee (USOC) training center in Colorado Springs here in the United States as well as in South Korea and in Tokyo for the 2020 Summer Games. Together with the International Olympic Committee (IOC), International Paralympic Committee (IPC) and the USOC, Panasonic shares the belief through sport, a more peaceful and prosperous world is created for all. Panasonic also provides sport tech at the Olympic Training Center at Colorado Springs to enhance the fan experience while telling stories of U.S. Olympic and Paralympic athletes. The innovative Japanese corporation is also an important Paralympic Partner through the 2020 Paralympic Games, providing state-of-the-art technology and solutions including AV equipment that delivers the sights and sounds of both the Olympic Games and Paralympics. To further their support in America, Panasonic USA and the USOC signed a deal to support the U.S. Paralympic Team through the Paralympic Games Tokyo 2020. Panasonic is continually showcasing stats, stories and Panasonic’s business accomplishments at the Olympic Games through fun animation and infographics. Since the Nagano 1998 Winter Games to the upcoming PyeongChang 2018 Olympics, through the Tokyo 2020 Summer Olympics, and beyond, Panasonic has created ‘A Better Life, A Better World’. These intrinsic values are shared with the Olympic and now Paralympic Games using sport as a service of humankind while educating young people. Mr. Timo Lumme from the IOC and Panasonic’s Mr. Satoshi Takeyasu both discuss the significance of the Olympic Games and Panasonic’s partnership in the video below. To meet that end goal, Panasonic is a valuable and highest ranking part of The Olympic Partner (TOP) Program as Official Worldwide International Olympic Committee partner beginning in 1998 and running through 2024. Panasonic is providing its cutting-edge technologies and products to support PyeongChang 2018, Tokyo 2020 Olympics, and both the summer and winter Olympic Games to be held in 2022 and 2024. Panasonic provides the Olympic Games with a wide variety of products, including TVs, audio-visual equipment for broadcast and professional use, AV storage media, car navigation, related on-board entertainment systems equipment, and video surveillance equipment. Panasonic also supplies technology and equipment to the IOC and the Olympic Organizing Committee. Panasonic will continue to support the operation of the Olympic Games through its best-in-class products in this category, hands on services and technical support as well as Ultra high-def at sports venues. 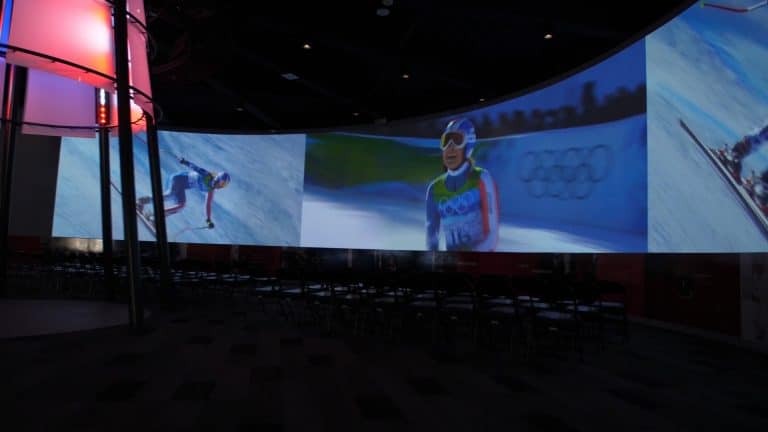 The USOC visitors center in Colorado Springs together with Panasonic USA created a unique immersive experience as a marketing showcase for telling athlete history and their compelling stories while promoting Olympic values all year round to the 125,000 visitors that tour the center. The visitor centers AV transformation is highlighted by a five-projector customizable video rotunda at the front of the center enabling the custom Panasonic display to showcase a continuous image or mosaic of images 100 feet wide and 20 feet high via 180-degree projection. Team USA athletes often lead guests on tours which also provides a look at other sports technology products the USOC uses during training to ultimately help achieve their mission of winning Olympic medals. The center also features four interactive kiosks with touch screen HD panels enabling visitors to easily search for their favorite Team USA athlete and find out key statistics and metrics about their overall performances. 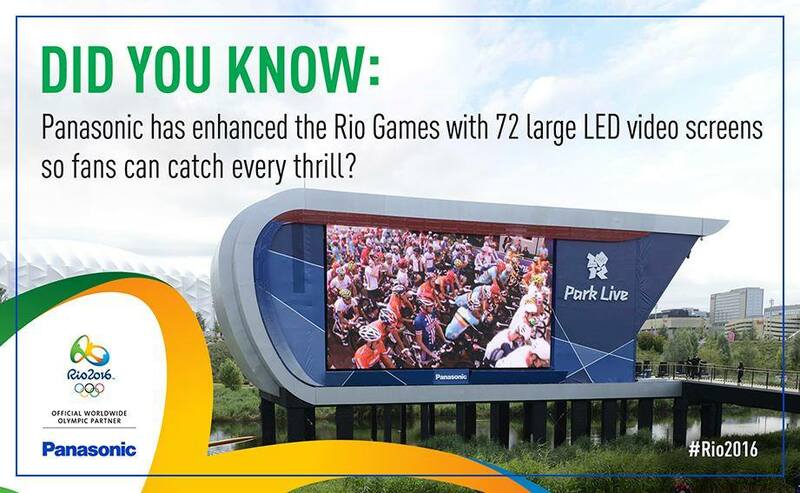 Additionally, a nine-panel display wall provided by Panasonic delivers live video streaming fan experiences featuring Team USA athletes worldwide. Finally, the center’s sound quality makes you feel like your at the Live event or the interview itself in person. This all adds up to a unique live fan experience generations of Team USA fans will enjoy again and again. The Paralympic Games sporting event for athletes with impairments is held after the Olympic Games in the same city and venues. With the help of the Panasonic partnership, the Paralympics is considered the third biggest high performance sporting event in the world. 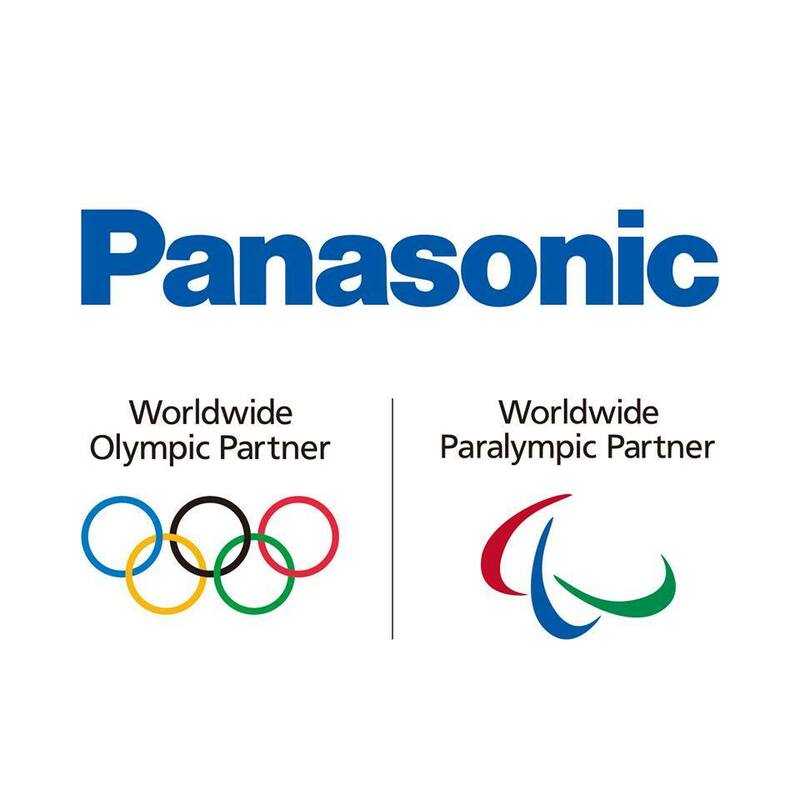 The Paralympic Movement and the USOC together with Panasonic continues to build a more inclusive society building towards the Tokyo 2020 Paralympic Games as a sponsor in the Audio-Visual Equipment category. Sports Techie, I have never attended an Olympic or Paralympic Games in person, hopefully that will change in the near future. Like many fellow fans around the world, I have grown up watching this special international event on TV and now digital devices. The digital fan experience for me has been one I carry with me for life. The 1980 Team USA hockey team ‘Miracle on Ice’ happened when I was 14-years old yet I remember beating the heavily favored Russians at Lake Placid like it was yesterday. World Cup Alpine skier Lindsey Vonn won the downhill gold medal at the 2010 Winter Olympics in Vancouver marking it the first time an American female athlete had won the challenging event. Today’s millennial and GenZ fans may not remember Carl Lewis, a riveting Team USA track and field sprinter that took home nine Olympic gold medals and a silver during his amazing career that spanned from 1970 to 1996 including the 1984 Los Angeles, 1988 Seoul, 1992 Barcelona, and 1996 Atlanta Olympic Games. It has been almost twenty years since Panasonic became an Olympic partner resulting in their influence of the broadcast, opening ceremonies, athletic events, and the fan experience, all through proprietary tech, installations, and ongoing staff support. Now the same kind of technology-driven support can be said for the ever-increasing in popularity Paralympic Games. The Panasonic Solutions Group took it upon themselves to work together with the USOC on a number of initiatives such as the already mentioned training center upgrades and the Paralympic support of Team USA but they also played a major role in outfitting the USOC’s Museum with interactive tech that highlights the compelling stories our U.S. athletes have gone through over the past decades so that young and old fans alike can remember or learn for the first time about these often heroic athletic feats. Plan an Olympic and Paralympic themed trip to Colorado Springs, Korea and Tokyo knowing the past, present and future of the Olympic movement is in good technological hands through a fulfilling business partnership with Panasonic.